The dangers of too much light at night and too little natural light during the day. Too much artificial light at night has been linked to multiple health problems, a new scientific review finds. The fact that people also get too little natural light during the day may also contribute to a range of health problems. This is because the body’s natural rhythms — such as the sleep-wake cycle — are disturbed. Imbalances such as these have been linked to diabetes, obesity cancer and other health problems. “It’s become clear that typical lighting is affecting our physiology. But lighting can be improved. We’re learning that better lighting can reduce these physiological effects. The blue light from tablets and smartphones tend to disrupt the body’s natural rhythms by suppressing the sleep hormone melatonin. The study, published in the journal Philosophical Transactions of the Royal Society B, looks at some of the short- and long-term impacts of disrupting the body’s natural rhythms (Stevens & Zhu, 2015). “It’s a new analysis and synthesis of what we know up to now on the effect of lighting on our health. The study’s authors want to raise awareness about how the different types of light we are exposed to can affect our health. “It’s about how much light you’re getting in the evening. 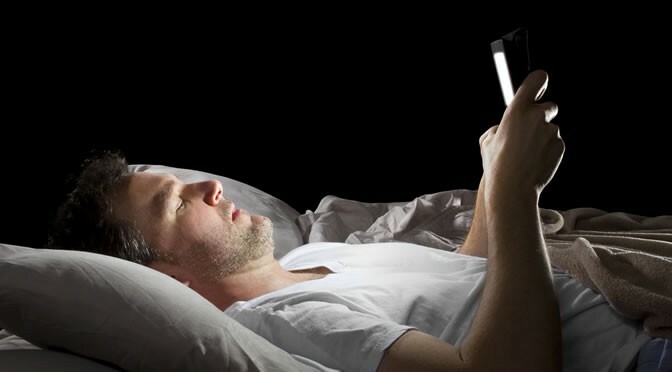 It doesn’t mean you have to turn all the lights off at 8 every night, it just means if you have a choice between an e-reader and a book, the book is less disruptive to your body clock.